The next time visiting a big box store, look at electrical devices, components, cables and accessories. Notice how they all have UL, CSA or ETL logos on them. These are the logos of nationally recognized testing laboratories. The big box stores do not take chances with unknown, unproven and untested potentially dangerous electrical products. Why should you? Responsible retailers only accept products with proper electrical certification. Those products must have been laboratory tested to insure they are in compliance with national electrical safety codes and quality standards. Only after they have passed testing, do they receive the right, to use the ETL, CSA or UL logos. Do not be fooled by the “CE” logo. CE is a European standard. Many EBay generators show this. Those are cheap imported generators designed for other markets. Those generators do not meet national electrical codes. Also note, just because a generator has a few components with the UL or CSA logo on it, it does NOT mean it has the required overall certification. Customers are being fooled by fake logos. Search for “Market Surveillance Product Incident Report Form” on google and report them. It is on the UL website. The point of all this is to stress that Only Aurora Generators supplies generators like these that are in compliance with national electrical safety codes and standards. These generators are ETL approved to UL and CSA Standards 22.2 No 100. 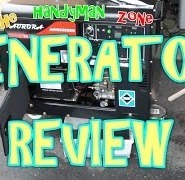 They are far better quality than any other generator like it on the market guaranteed.